An open letter to Psychological Medicine, again! Last week, Virology Blog posted an open letter to the editors of Psychological Medicine. The letter called on them to retract the misleading findings that participants in the PACE trial for ME/CFS had “recovered” from cognitive behavior therapy and graded exercise therapy. More than 100 scientists, clinicians, other experts and patient organizations signed the letter. Thank you for your letter and your continuing interest in the paper on the PACE Trial which Psychological Medicine published. I was interested to learn that Wilshire and colleagues have now published a reanalysis of the original data from the PACE Trial in the journal Fatigue: Biomedicine, Health & Behavior, a publication that I was not previously aware of. Presumably, interested parties will now be able to read this reanalysis and compare the scientific qualiity of the re-analysis with that of the original. My understanding is that this is the way that science advances. This is an unacceptable response. Sir Robin Murray is misguided if he believes that science advances by allowing misleading claims based on manipulated data to stand in the literature. When researchers include participants who were already “recovered” on key indicators at baseline, the findings are by definition so flawed and nonsensical they must be retracted. That the editors of Psychological Medicine do not grasp that it is impossible to be “disabled” and “recovered” simultaneously on an outcome measure is astonishing and deeply troubling. It is equally astonishing that the PACE authors now defend themselves, as noted in a New York Times opinion piece on Sunday, by arguing that this overlap doesn’t matter because there were also other recovery criteria. In response to the comments from Psychological Medicine, we are reposting the open letter with 17 added individuals and 24 more organizations, for a total of 142 signatories altogether. These include two lawyers from Queen Mary University of London, the academic home of lead PACE investigator Peter White, along with other experts and ME/CFS patient groups from around the world. According to the protocol for the PACE trial, participants needed to meet specific benchmarks on four different measures in order to be defined as having achieved “recovery.” But in Psychological Medicine, White et al. significantly relaxed each of the four required outcomes, making “recovery” far easier to achieve. No PACE oversight committees appear to have approved the redefinition of recovery; at least, no such approvals were mentioned. White et al. did not publish the results they would have gotten using the original protocol approach, nor did they include sensitivity analyses, the standard statistical method for assessing the impact of such changes. Patients, advocates and some scientists quickly pointed out these and other problems. In October of 2015, Virology Blog published an investigation of PACE, by David Tuller of the University of California, Berkeley, that confirmed the trial’s methodological lapses. Since then, more than 12,000 patients and supporters have signed a petition calling for Psychological Medicine to retract the questionable recovery claims. Yet the journal has taken no steps to address the issues. Last summer, Queen Mary University of London released anonymized PACE trial data under a tribunal order arising from a patient’s freedom-of-information request. In December, an independent research group used that newly released data to calculate the recovery results per the original methodology outlined in the protocol. This reanalysis documented what was already clear: that the claims of recovery could not be taken at face value. *In a paradox, the revised recovery thresholds for physical function and fatigue–two of the four recovery measures–were so lax that patients could deteriorate during the trial and yet be counted as “recovered” on these outcomes. In fact, 13 % of participants met one or both of these recovery thresholds at baseline. White et al. did not disclose these salient facts in Psychological Medicine. We know of no other studies in the clinical trial literature in which recovery thresholds for an indicator actually represented worse health status than the entry thresholds for serious disability on the same indicator. *During the trial, the authors published a newsletter for participants that included glowing testimonials from earlier participants about their positive outcomes in the trial. An article in the same newsletter reported that a national clinical guidelines committee had already recommended CBT and GET as effective; the newsletter article did not mention adaptive pacing therapy, an intervention developed specifically for the PACE trial. The participant testimonials and the newsletter article could have biased the responses of an unknown number of the two hundred or more people still undergoing assessments—about a third of the total sample. *The PACE protocol included a promise that the investigators would inform prospective participants of “any possible conflicts of interest.” Key PACE investigators have had longstanding relationships with major insurance companies, advising them on how to handle disability claims related to ME/CFS. However, the trial’s consent forms did not mention these self-evident conflicts of interest. It is irrelevant that insurance companies were not directly involved in the trial and insufficient that the investigators disclosed these links in their published research. Given this serious omission, the consent obtained from the 641 trial participants is of questionable legitimacy. Such flaws are unacceptable in published research; they cannot be defended or explained away. The PACE investigators have repeatedly tried to address these concerns. Yet their efforts to date—in journal correspondence, news articles, blog posts, and most recently in their response to Wilshire et al. in Fatigue—have been incomplete and unconvincing. PACE included sub-group analyses of two alternate and more specific case definitions, but these case definitions were modified in ways that could have impacted the results. Moreover, an unknown number of prospective participants might have met these alternate criteria but been excluded from the study by the initial screening. To protect patients from ineffective and possibly harmful treatments, White et al.’s recovery claims cannot stand in the literature. Therefore, we are asking Psychological Medicine to retract the paper immediately. Patients and clinicians deserve and expect accurate and unbiased information on which to base their treatment decisions. We urge you to take action without further delay. ME/CFS and Lyme Association of WA, Inc.
 White PD, Goldsmith K, Johnson AL, et al. 2013. Recovery from chronic fatigue syndrome after treatments given in the PACE trial. Psychological Medicine 43(10): 2227-2235. Racaniello V. 2016. An open letter to The Lancet, again. Virology Blog, 10 Feb. Available at: http://www.virology.ws/2016/02/10/open-letter-lancet-again/ (accessed on 2/24/17). White PD, Sharpe MC, Chalder T, et al. 2007. Protocol for the PACE trial: a randomised controlled trial of adaptive pacing, cognitive behaviour therapy, and graded exercise, as supplements to standardised specialist medical care versus standardised specialist medical care alone for patients with the chronic fatigue syndrome/myalgic encephalomyelitis or encephalopathy. BMC Neurology 7: 6. PACE Participants Newsletter. December 2008. Issue 3. Available at: http://www.wolfson.qmul.ac.uk/images/pdfs/participantsnewsletter3.pdf (accessed on 2/24/17). Sharpe M, Chalder T, Johnson AL, et al. 2017. Do more people recover from chronic fatigue syndrome with cognitive behaviour therapy or graded exercise therapy than with other treatments? Fatigue: Biomedicine, Health & Behavior; published online 15 Feb. Available at: http://www.tandfonline.com/doi/full/10.1080/21641846.2017.1288629 (accessed on 2/24/17). Green CR, Cowan P, Elk R. 2015. National Institutes of Health Pathways to Prevention Workshop: Advancing the research on myalgic encephalomyelitis/chronic fatigue syndrome. Annals of Internal Medicine 162: 860-865. Please add our name to this list, Tom. Thanks. This reply is desperate to avoid conflict with PACE authors. Great to see more signatures added to this letter. Thanks to all new signatories and anyone supporting us in our fight to have this illness finally being taken seriously. I doubt we could have come this far without your help. I would have been surprised if Murray had done anything. He and the editorial team have been aware of factual errors in the paper and the reasoning behind it shortly after publication and have failed to act. In fact his response to patients pointing out issues with the paper was very vigorous in support of his colleagues who were involved with the paper. Perhaps the other editor would act more ethically if he thought that being an editor of a journal that knowingly misleads patients and clinical decision makers would reflect on his reputation. Until that point I think it is important to note that it is not just that science does not proceed in this manner but Murray’s actions are unethical. Given the journal is published by Cambridge university press I wonder what they think of such issues and failures to investigate. Has anyone asked the Cambridge vice chancellor for an interview on the subject. Perhaps it is notable that Ross Anderson a Cambridge academic did his best to stop the data being released. Perhaps if journals were legally liable for the papers they publish then the situation may be different. But in the UK judges can do strange things like ignore legal disclaimers especially where normal practice has not been followed. Once again thanks are due to the team at Virology blog working on this and the new signatories. If the PACE PIs weren’t already an international laughing stock they are now. This is reaching such levels of absurdity that it’s hard to believe such goings on’ could ever happen in academia … particularly with regard to journal editors (and I include Horton in that statement ) who simply won’t capitulate and accept that they have fraudulent papers on their books. What does this do to their reputations and the impact factors of the journals under their editorship? All very, very peculiar. Is it at all possible we are witnessing Peer-review fraud/Research publication policy over and above evidential Scientific integrity? PACE Trial therapies have been recommend by NICE and the NHS long before the the paper was even peer reviewed & accepted. Even after the prohibited blood donation policy came into effect in 2010, stating ME/CFS patients can no longer donate even if considered recovered, this was prior to the PACE publication. If NHS Blood & Transfusion services dont accept full recovery is possible, how can any future, subjective trial suggest this? The longer this drags on, the more it stinks to high heaven. Is corruption really at play here? And how can we see a possible resolution? You can really get the measure from this post of how impenetrable this wall has been for so long for so many patients and their families and advocates. I salute you for your dedication and perseverance. One erratum for your letter – the opening of the letter should be addressing Sir Robin and Dr Kendler – or Sir Robin Murray and Dr Kendler (to make it clear that they aren’t a married couple sharing a surname! ), or better yet if you can switch the names without loss of implied precedence, Dr Kendler and Sir Robin. But “Sir Murray” doesn’t exist and shouldn’t be addressed! That nitpicking aside, thank you for all your efforts, and thank you to all the signatories for their support (especially the two from QMUL!). My cynical and weary side can’t even begin to imagine the editors of Psychological Medicine backing down and admitting they’ve been wrong, much less actually retracting the paper(s)…but I’d very much like to be wrong about that. This might be extreme and I do not have the energy to read all the details but the word “fraud” is in my mind. If there is direct written evidence (as opposed to simple opinion) of behaviour that is deliberately misleading so as to amount to being fraudulent in effect and that fraud could be linked to any financial gain (say further government funding) I ask myself whether that may amount to the criminal offence of ‘obtaining a pecuniary advantage by deception’. I am quite confident they do grasp it, but are extremely loathe/frightened to publicly own up, explicitly or tacitly. Probably feel obfuscation is their best chance of squirming out of the hole they are finding themselves in. To the author’s of the PACE trial, there is no way out of this sorry mess, the time has come to step down gracefully, take responsibility, admit you got things very wrong and offer a full public apology to ME patients around the world who have been harmed as a result of the PACE trial papers. Well that would be the acts of an ethical, moral human being, some one with graciousness, dignity, humility and respect for their fellow human beings. You can choose to admit you got it wrong graciously or continue to play dirty and throw your toys out of the pram and look more and more foolish every time you attempt to defend your flawed research, but the illusion has been shattered as have your credibility, it’s over. So Robin Murray is ok with fraudulent research in his journal? Ridiculous. Thanks again to all involved. Have any researchers come forward willing to do the necessesary reanalysis from the data showing how patients do not improve and in this way overrun that awful bad PACE-trial. If that is what it takes? All trust is gone in the correct way to carry research forward, along with the reputation of researches and their papers in the UK. Journals, are being used at the will of the researchers? Our reputation in the UK will be marked for years as the truth unfolds. It is now OK to harm patients in trials in the UK? Now a PACE trial for children will be doing the same. MAGENTA is based on PACE, there will be no reporting on harms to daily life, and no data will be given to parents to enable them to make informed choice. Though parents will be blamed for the failure of the trial, as it was with SMILE trial. Fitnet-NHS another exercise mind over pain approach. The ripples of this inaction reaches the innocent and washes over them, drowning their plight from clear sight. Those that should protect them, have now turn their backs and sealed their fate. The PACE trial & the whole 30 plus years transmogrification of ME has been built on conflicts of interest, and an effort to make it very difficult for people to have health insurance/welfare claims accepted. To have relevant and extensive diagnostic testing performed and accepted to disprove the PACE myth. UK welfare & NHS funding has been cut to ribbons and it’s patient healthcare which will feel the brunt. And now I suspect the PACE proponents are in the midst of a new and improved model to disguise the devastation of ME: Medically Unexplained Symptoms. A larger waste-basket to throw patients in. The sad thought is the NHS cannot afford the care for patients, and will allow modern-day snake-oil salesmen to masquerade as scientists who can avoid any responsibility in order to save the governments money. These charlatans are clearly well protected. Sincere and heartfelt thanks to all involved, again! Very impressive and heartwarming list of signatories, I hope they all know how deeply appreciated their continued efforts and support are. Fantastic, keep it up! Thank you so much Dr. Tuller, Prof. Racaniello and all the signatories!! Science must prevail! Also saw Matthew Hotopf is on their Editorial Board! Wessley, Hotopf, Pariante and Robin Murray (one of the journal’s two editors, and the one who responded to the letter) and three others on the Editorial Board all work at King’s College Institute of Psychiatry. The PACE trial as Robin Murray should know now was a fraud masquerading as science. The problems have been raised numerous times but have been ignored. The PACE trial and its authors for the last 30 years have not only not advanced science but have actually hindered science. 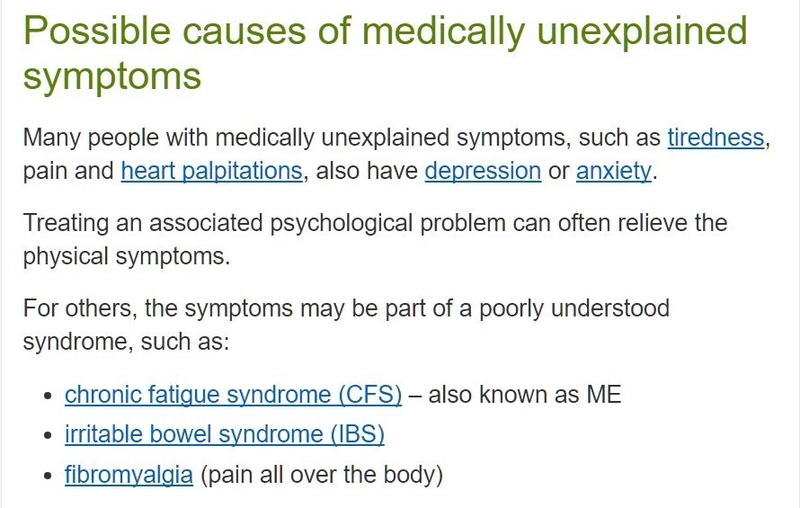 Since their involvement in muddying the definitions of ME with the term CFS in addition to the other issues Dr Tuller has investigated it has put back the state of knowledge in ME because of the misleading and what can only be described as deceptive propaganda put out by these psychiatric proponents. There is considerable evidence of this in the scientific literature and also on the internet which Murray will or should be aware of but two examples are provided here which Robin Murray should be well aware of. The PACE trial was an unprecedented form of political spin and economic project to support terminating benefits and not “science”. This is now being brought to the wider attention of the public. Murray will be aware of the background but it is reiterated here. The 64 page report ‘In the expectation of recovery’ examines in detail the financial motive of the PACE authors and the insurance article by Dr Tuller also explains this further. Sir Robin will be well aware that the science in the PACE trial was not just unintentionally poor or careless but designed to mislead and harm ME patients for the benefits of the PACE trial authors and their associates. Murray is clearly a smart man and he can surely now see the PACE trial for what it was – scientific fraud. He has now been made fully aware of the issues and has a professional and ethical duty to retract the publication given the evidence before him and the ongoing harm to patients. Otherwise what is he gaining from this situation? The question is not if the PACE trial will be retracted and the PACE authors (and those involved who stood by) fully exposed to the opprobrium of the media, general public and society as a whole but when. Surely under this weight of evidence and the knowledge of leading scientific minds globally they will retract? They are in the spotlight. To not retract is a disgrace.